Camp goes to the dogs! 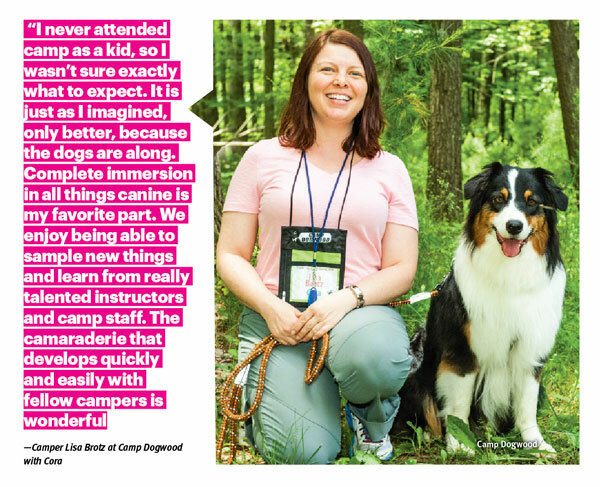 Beyond the opportunity to vacation together, canine camps offer a multitude of benefits for dogs and their people, from new friends and skills to a deeper connection. Alysa Slay loved going to “sleep-away camp” as a kid. She even worked as a staff member at an overnight camp once her days as a regular camper were over. No wonder then that, as an adult, Alysa, with longtime friend Dave Eisendrath, co-founded her own camp—with a twist. 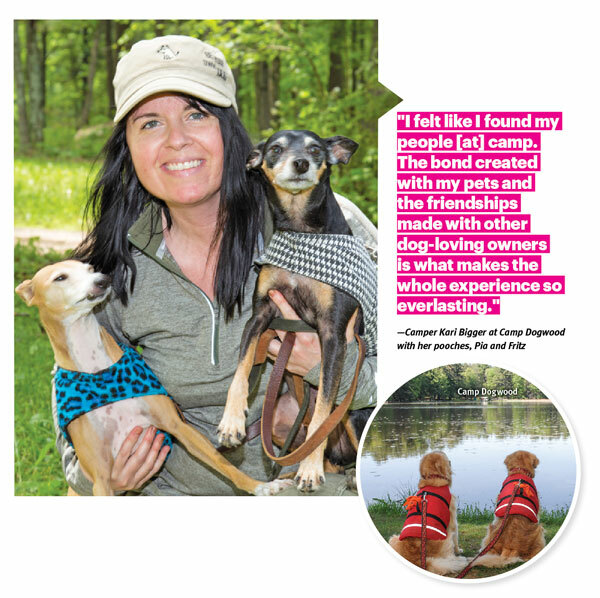 Combining a love of camp with a passion for pets, Camp Dogwood in Lake Delton, Wisconsin, offers campers of both the human and canine variety a place to “stay and play,” as per the camp creed. Hence Dogwood’s full roster of spring, fall, and even winter camp activities, including lure coursing, skijoring, treibball (a sport in which dogs must gather and drive large exercise balls into a soccer goal), and “doga” (dog-friendly hatha yoga). To create a true camp experience, campfires, sing-alongs and s’mores are added to the mix. One thousand or so miles east, in Vermont, is Camp Gone to the Dogs. Founded in 1989, it is likely the longest-running dog camp in the United States. It holds a similar philosophy. 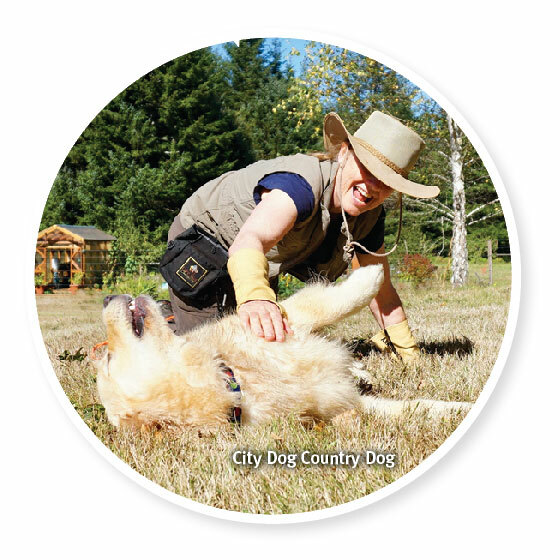 In fact, Gone to the Dogs offers at-camp prep and testing for Canine Good Citizen and Therapy Dogs International certification. As for sportier pursuits, classes range from obedience and agility to disc, jump chuting, parkour, dock diving, and freestyle dancing. There are also dog-friendly arts and crafts (think leash-making and paw-print creations) and guest speakers—canine experts like Christine Zink and Tim Lewis—who discuss such topics as preventing and solving behaviour problems and raising a leader dog. Strong relationships, she adds, are also formed between the people who come to camp. The same is true at Yellowstone Dog Camps, run by Elaine Osmun in Red Lodge, Montana, where campers from all over the U.S. and Canada attend four five-day sessions throughout the summer. “They’re a pretty diverse group,” says Elaine, adding that the dogs, too, differ in age, size, breed, temperament, ability, and camp experience. 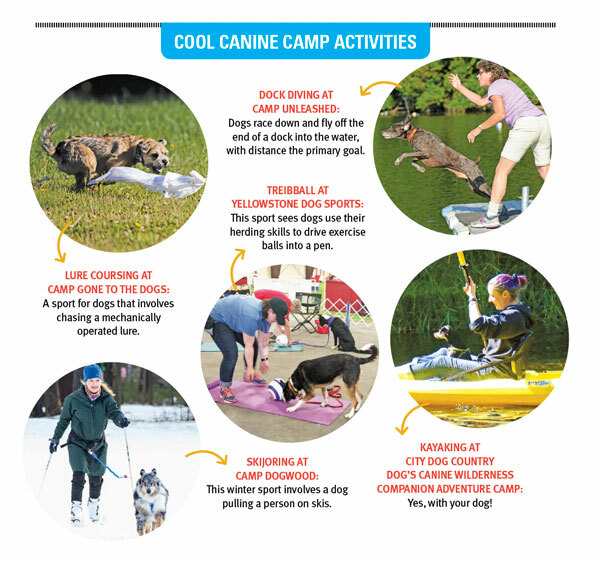 As at all the canine camps though, there are certain safety parameters around the dogs that can attend. Beyond the 90 acres of space, swimming ponds, and hiking trails, Yellowstone features a large indoor arena where all levels of agility training and other activities are conducted. 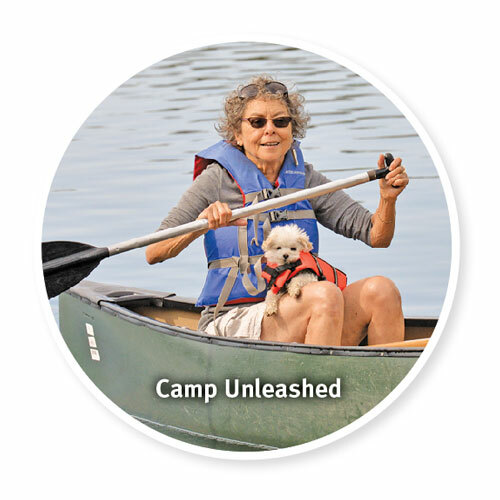 Accommodations at the camp are on-site, featuring comfortable, dog-friendly rooms that are either single or shared. Meals—for the people—are served family style, while pooches remain in their rooms to eat and take a well-deserved rest. At Gone to the Dogs, summer camp accommodations are dorm-style, on a beautiful 250-acre college campus, while their fall session offers campers rooms at a dog-friendly inn. In Dogwood’s case, bunking options range from lodge rooms to cabins to tenting and RV sites, as well as a nearby dog-friendly hotel. Camp activities, Annie explains, are team-based, encouraging a true partnership to form between man or woman and dog. From scent games to canoeing to recall work, all require communication between the two species. Unleashed also offers a variety of workshops designed to further strengthen the bond, including lessons on how to teach your dog new tricks, canine cognitive games, and even “doglish as a second language,” which teaches owners to recognize, read, interpret, and respond to their pets’ nuances. Caroline Spark, owner of City Dog Country Dog in Portland, Oregon, couldn’t agree more. Her numerous retreats, set in the picturesque Yachats River Valley, include a reactive dog camp (a chance for dogs who are canine reactive to participate in specially designed activities and classes that help them practice being calm and focused around other dogs), a canine wilderness companion adventure camp (culminating in a basic canine wilderness companion certificate for your dog) and a camp for service dogs. “Service dogs are awesome. They work hard, some 24-7, and deserve a vacation from time to time,” Caroline says, adding that the camp, a non-profit project called A Dog’s Dream, gives working pups the opportunity to swim in a river, play in an open meadow and sniff an animal trail to their heart’s content—i.e., it brings vacation opportunities to service dogs who otherwise may not have the means or opportunity to enjoy them. Indeed, Caroline stresses, City Dog Country Dog’s A Dog’s Dream camp is as much about the human campers as it is about the dogs. Back at Camp Unleashed, Annie, too, welcomes people with disabilities to come to camp with their service dogs—she’s even had disabled dogs, some in wheelchairs, attend a retreat and have “a great time.” And that, she says, is part of the beauty of camp: the way it can bring campers from “all walks of life” together for a good time.